Traveling in India isn’t just about exploring new places or taking pictures. It’s about personal enrichment and how you can learn about the world, different cultures, diverse religions, and history. Below are seven places not often mentioned in a textbook that will teach you beneficial lessons about life, the world, and yourself. Varanasi is home to yoga, Asia’s largest university, venue of Buddha’s first gathering after enlightenment, and more than a thousand temples and revered Ganga. 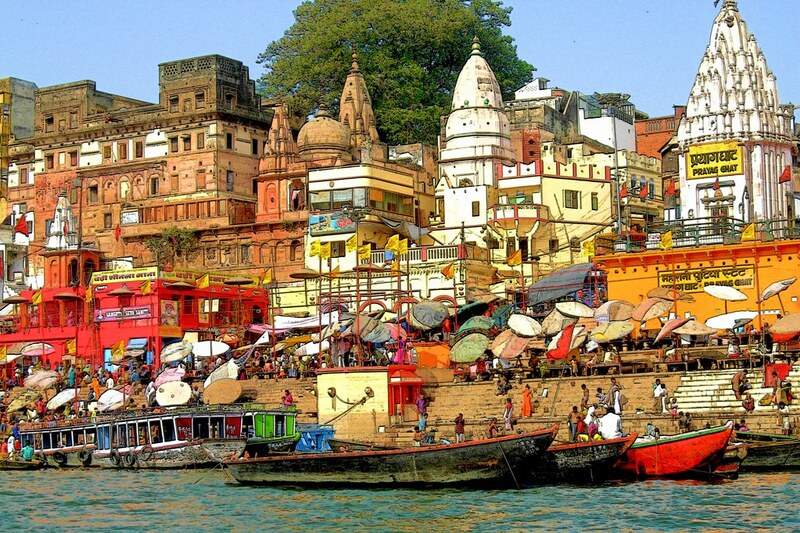 Some even claim that Varanasi is the oldest inhabited city in the world. Dip in the holy water of Ganges is a spiritual opportunity that you shouldn’t miss. It is believed that the pure water of Ganges can wash off the past sins. Here, the deceased are liberated from the suffering and freed from the “vicious cycle of life.” Some Hindus consider it the city of death and rebirth. How to Reach by Roadways: Tourism buses of Uttar Pradesh wisely connect Varanasi with all the major cities and towns. You can also hire private cabs down to Varanasi from the nearby cities like Kanpur, Allahabad and Alipur. How to Reach by Railways: Varanasi Railway station connects the city with all major states of India. The principles and teaching of Gautam Buddhism resonate in every length and breadth of Lahaul and Spiti. Their monasteries, which as old as 800 years, are frequented by the Dalai Lama himself. The monasteries of Lahaul and Spiti are rich repositories of ancient murals, thankas, wood carvings and golden images of Padmasambhava. If you want to stay here for more days, you can further your trip to Key Monastery in the Kaza region, which acts as a training centre for a large number of lamas. How to Reach by Railways: Lahaul-Spiti is connected by road to the rest of Himachal Pradesh and other adjoining states from May till November. The experience of camping in the middle of Asia’s oldest jungle is simply mesmerizing. The Corbett National Park brings you one step closer to nature and teaches you to appreciate life. Jim Corbett National Park is home to several species of animals, birds, mammals, amphibians, etc. Take part in the jungle safari where tourists can see tigers, monkeys, wild elephants, rhesus macaques, romps of otters and several types of deer in their natural habitat. How to Reach by Railways: Nearest railhead is Ramnagar Station which is around 20km away from the national park. How to Reach by Roadways: Ramnagar is the entry point to Jim Corbett National Park which is approximately 20km. away from Delhi, 145km from Lucknow, 66km from Nainital, 112km from Ranikhet. Go for a heritage walk in Udaipur and your negative perspective about Indian architecture will take a back seat. Temples, forts, and lakes in Udaipur speak about the tainted tales of love, rivalry, and revenge. Vibrant Udaipur is home to the largest fort in Rajasthan, City Palace. Beautiful forts of Udaipur will unveil different facts of the Rajput history. From towering forts to shimmering lakes to open air restaurants, Udaipur offers a perfect melange of history, culture, and tradition. Take a sneak peek into Royal Rajasthan on a trip to Udaipur. How to Reach by Railways: Udaipur Railway Station is located at a comfortable distance from the city of Udaipur. There are frequent trains which run to and from Udaipur connecting Jaipur, Mumbai, and Delhi. How to Reach by Roadways: A wide network of bus services link Udaipur with several destinations. The distances of some of the important cities from Udaipur are Agra 630km, Ahmedabad 262km, Jaipur 406km, Jodhpur 275km, and Mount Abu 185km. As colonies go, Kochi wasn’t a success story. Almost immediately after the Jewish setup, the place was conquered by Portuguese, retaken by its founders, then sacked and destroyed by the invaders. 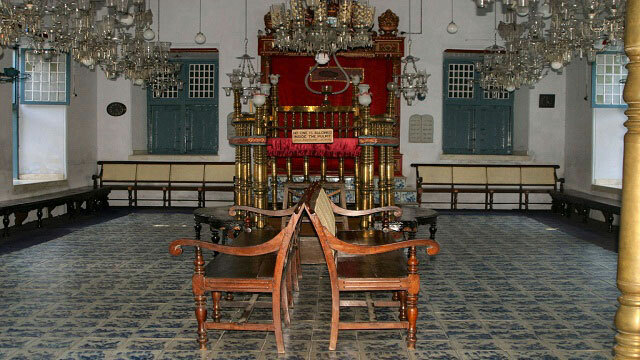 However, Kochi kept its old-world charm thanks to a narrow street between Mattancherry Palace and the Synagogue where colonial buildings align. How to Reach by Roadways: Volvo and air-conditioned buses are available from all the major cities around such as Hyderabad, Trivandrum, Bangalore, Chennai, and Mumbai. How to Reach by Railways: Two major stations in Kerala at Ernakulam Town Station and Ernakulam Junction Station. Amritsar homes Sikhs holiest shrine, and is the holy land where Guru Nanak founded Sikhism in the 15th century. The tiny city is also famous for Sikhs holiest shrine, the Golden temple. Inside the golden temple, eat at the langar, listening to the Gurbani (religious chants) inside. Amritsar is soaked with spirituality and patriotism. How to Reach by Roadways: Bus and Volvo services are available which connects Amritsar with all the major cities liek Delhi, Dehradun, Shimla, Jammu, and other town operating in north India. How to Reach by Railways: Amritsar Railway station in the city is connected with all the major hubs of Punjab. Ever wonder where to find the wettest lands on earth? 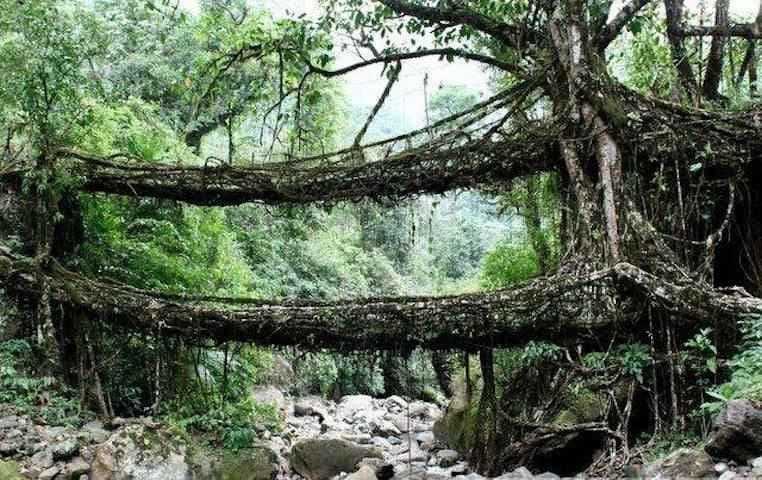 Well, Meghalaya will give you that experience in northeast India. Meghalaya receives a staggering 12mm of rainfall annually. Floating lakes, vivid sceneries, gushing waterfalls, hills carpeted with tea plantation, Cherrapunji has it all. How to Reach by Railways: Nearest railway station is in Guwahati which is 181km away from the region. How to Reach by Roadways: Buses for Cherrapunjee are available from Shillong. Traveling to India will show you altogether a different world and makes you thankful for your own existence. Embark on a trip to these destinations to open your eyes, free your mind, and warm your heart. Anjali Wadhwa is a wildlife aficionado, wanderer, and bookworm who explores the unified jungles of India. Follow her on Google+ to discover more about wildlife in India.